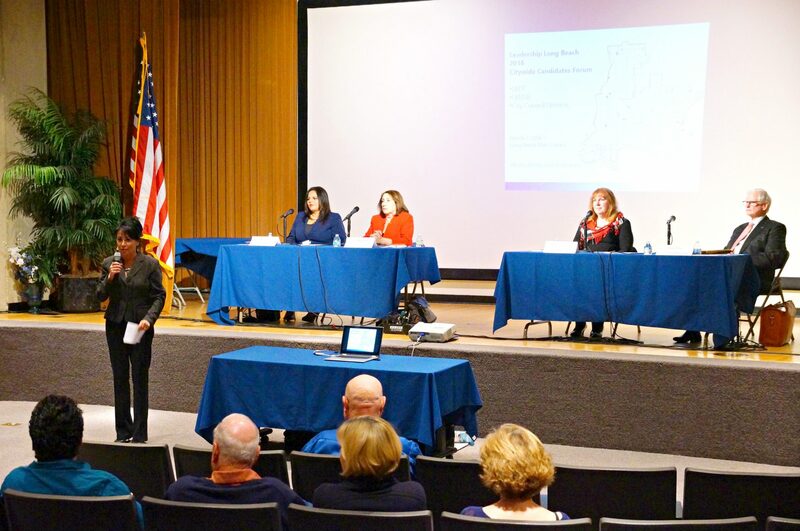 For the April 2016 City of Long Beach elections, Leadership Long Beach once again hosted a Citywide Candidates Forum. Held at the Downtown Long Beach Public Library auditorium, the forum was the only event with all 19 candidates for city council, Long Beach School Board and Long Beach City College as they spoke and addressed issues pertaining to their positions. In addition, the City Clerk’s office and other groups provided information about voting and becoming informed about city services (a service project for the 2016 LLBI Class). The entire forum and candidate statements were videotaped, broadcasted and archived by PADNET TV.